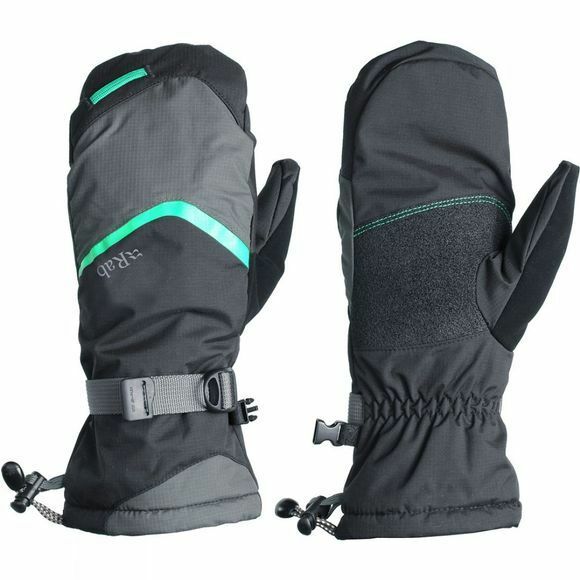 The Rab Women's Storm Mitt has a waterproof Porelle Dry insert to keep your hands dry, along with Pyrotec insulation to keep them nice and warm. Goat leather across the palm and thumb provides reinforcement where the wear is highest. Internal finger pockets aid dexterity.